Inflotek uses this proprietary waterjet cutting technology to perforate flat sheet metal with thousands of fine, high tolerance slots. These sheets are manufactured into screen products for a wide range of industrial screen applications. 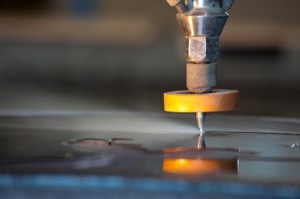 Inflotek also offers build-to-print waterjet cutting services that offer significantly higher tolerances and lower cost than traditional waterjet job shops.